Video advertising trends are very important to the marketers and advertisers online. The trends help the advertisers to stay updated and include the best strategies in the plan for better implementation. 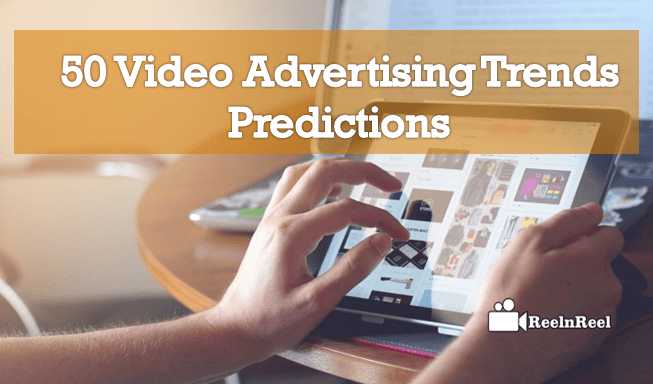 This video advertising trend predictions helps them to estimate the future trends. 1. Video in Email leads. 2. Mobile-optimized email campaigning with video increases click through rates. 5. High ad budgets for mobile video optimization. 6. Online Ad blocking will become a headache for video marketers. 7. Short video advertising across snap chat will be on rising. 8. Millennial remains connected with Facebook. 9. Chat Bot video advertising will change the video advertising pace online. 10. Native advertising adds value. 11. Real-time content advertising in marketing will be on rise. 12. Influencer video advertising will catch the pulse. 13. Facebook-driven lead generation video marketing will have good value. 15. Brands will start releasing video tutorials for the customers. 16. Multi-channel video advertising will grow. 17. Social media advertising will develop new strategies. 19. Video ads in Chat Bots will come soon. 20. Facebook live can be utilized for better video advertising. 21. Live video will be in use to build trust. 22. Automation marketing tools for video advertising will develop. 23. Consumer first video advertising will be on rising. 24. Facebook auto-play video ads might be avoided. 25. Short form video content will continue as a trend. 26. Video optimization process will develop. 27. Insertion of video in different forms of advertising will increase. 28. Mobiles will be more prioritized for better video advertising. 29. Artificial intelligence will drive the video advertising to the next step. 30. Branded video content will be on rise. 31. Change in the creation of viral video content will be the trend. 32. The increase in utilization of GIF ‘s on social media. 33. GIF’s can be utilized for advertising process. 34. Storytelling through live streaming will be on rise. 35. New approaches will design to reach the customers with video marketing. 36. The video is included in the different chat supports as a part of video marketing strategy. 37. Video personalization will get increased. 38. Periscope and other live streaming application usage will increase. 39. The live streaming product launch will be more focused for better targeting. 40. Video optimization tools will develop. 41. Instagram video advertising will be at the different point and advertisers approach in different style basing on changes in 2019. 43. Mobile app video advertising will continue with new features. 45. YouTube continuous it’s growth. 46. Creators will get more benefitted on YouTube with future developments. 47. Video advertisers target users with videos under 15 seconds. 48. GIF Video ad promotions will speed up. The above trends help the marketers to have clear idea about the estimated trends in the video advertising in 2019.